HIRAM, Ohio -- Mount Union's men's volleyball team lost to Hiram (5-18) in four sets, 3-1, Tuesday night at Price Gymnasium. Earlier this season, Mount Union hosted the Terriers and pushed the game to a winning fifth set. The Purple Raiders (8-18) dropped the first set 18-25, coming back in the second set to win 25-15 before Hiram went back-to-back in sets three and four with close scores of 25-21 and 25-22. Freshman opposite hitter Mark Bruns (Columbus/Upper Arlington) continues to be the driving force on the offense, leading the team this match with 13 kills. Bruns also posted a team-high five service aces along with seven digs and a pair of blocks. As the primary setter, freshman Jeremy Leyden (Cuyahoga Falls/Archbishop Hoban) recorded 32 assists on the evening. Sophomore outside hitter Justin Sibbel (Stow/Stow-Munroe Falls) led the defensive efforts with a season-best 16 digs alongside freshman libero Steven Grenier (Hawthorn Woods, Ill./Lake Zurich) who collected 12. At the net, freshman middle Sam Matonis (Macedonia/Walsh Jesuit) tabbed a squad-high of four blocks. 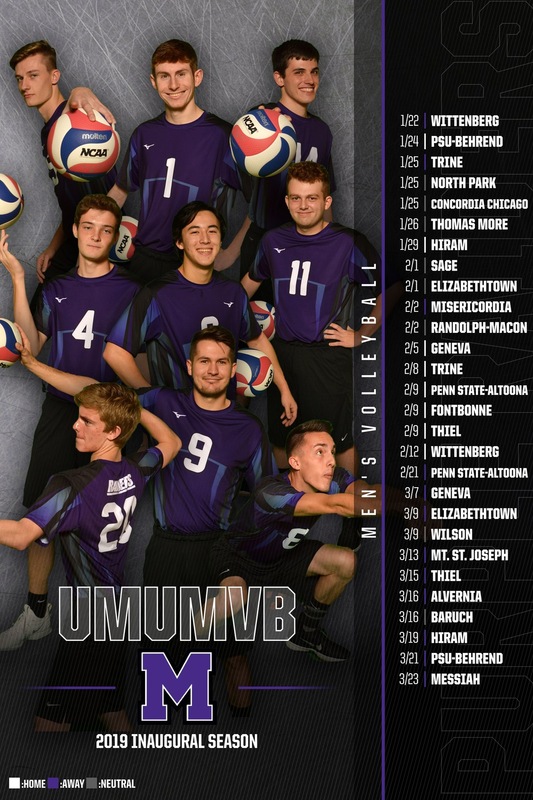 Mount Union next travels to Erie, Pa. for a match against Penn State-Behrend on Thursday, March 21 with a 7 p.m. start.